A few years ago, the city of Toronto came up with a new initiative that became a city policy: the Avenues & Mid-Rise Buildings Study. 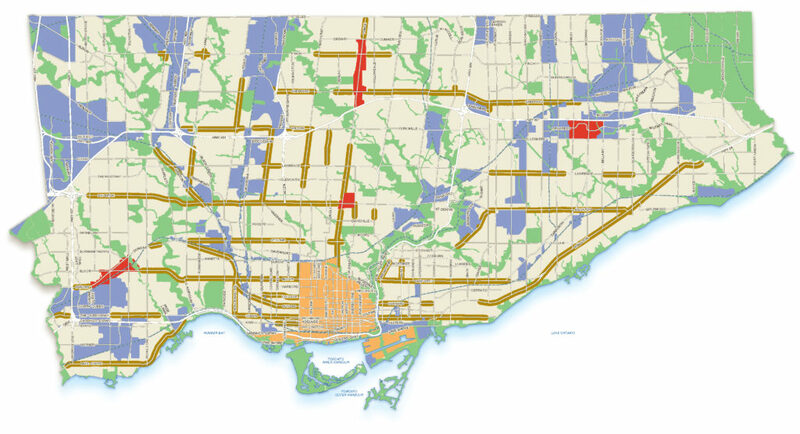 The study identified arterial streets outside downtown that were to be designated as “Avenues” where construction of mid-rise buildings, defined as buildings between six and eleven storeys, would be allowed. 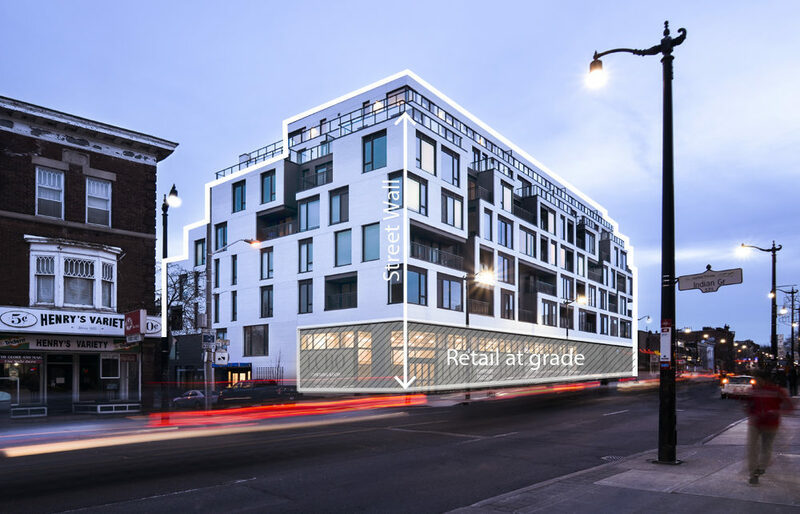 The idea was to allow dense development in areas where high-rise buildings were considered inappropriate (mostly at the edges of neighbourhoods), and to improve the streets themselves with buildings that “define” the street edge, provide new retail and bring new residents. 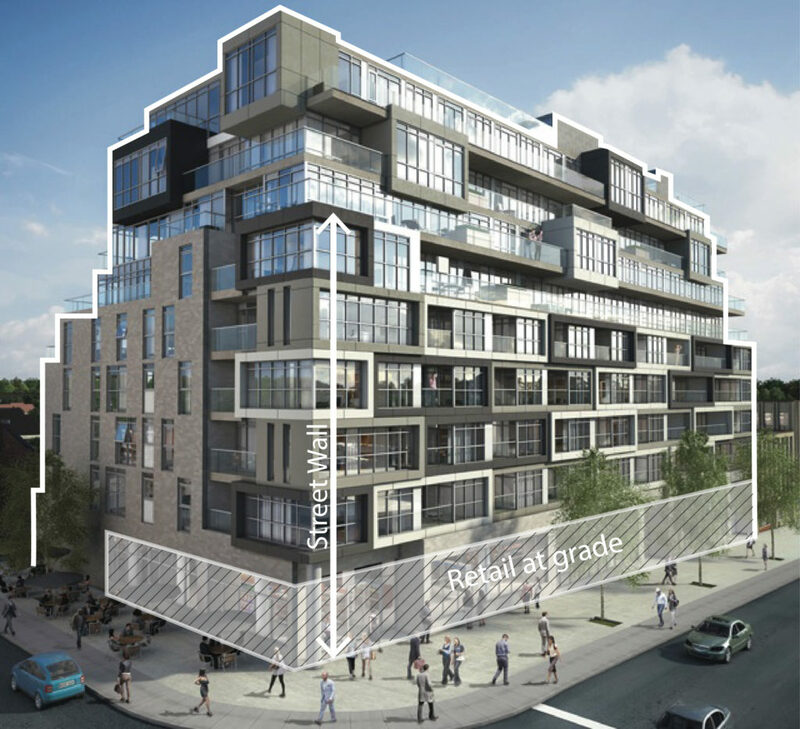 Overall it was a good idea and in the recent years resulted in quite a few new mid-rise buildings that helped create the Missing Middle of the Toronto housing market and helped bridge the gap between high-rise buildings and houses. As a bonus, the new mid-rise buildings have been overall much more interesting than the typical new high-rise buildings. But from a few aspects the results have been disappointing, and there are a few problems with this new type of development. First, the amount of mid-rise development was not very high, which is something that was discussed quite a bit. Second, units on the lower levels of mid-rise buildings are often deep and dark, and lack usable outdoor space. These problems are driven directly by city guidelines. Lastly, the city did not fully commit to improving the arterial streets where it directed all this new development, bringing lots of people to a crappy environment. First, the buildings are limited in total height. The maximum height is equal to the width of the street (including sidewalk). 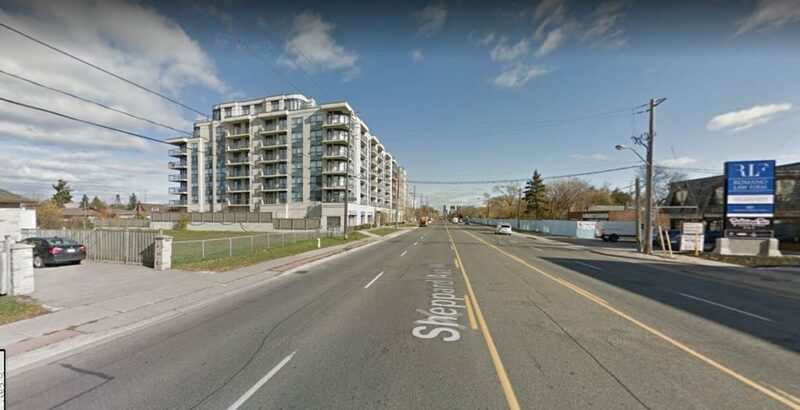 The narrowest Avenues (like Queen Street) are 20 m wide and allow 20 m high buildings (usually 6 storeys); the widest Avenues (like Sheppard Avenue) are 36 m wide and allow a 36 m high buildings (usually 11 storeys). Second, buildings are required to fit within 45 degree “angular planes” at their front and back, measured from predefined points. The impact of these envelopes is that the building rises straight for a few storeys at the front and at the back, and the floors above are stepping back.